Brief Overview: This unit centers around the traditional methods of making fire using natural materials found in nature. The ability to make fire should not be understated as it truly grounds one in the technologies of our ancestors. We're excited to offer this as first in a series of Bushcraft workshops. This unit centers around traditional methods of making fire using natural materials found in nature. 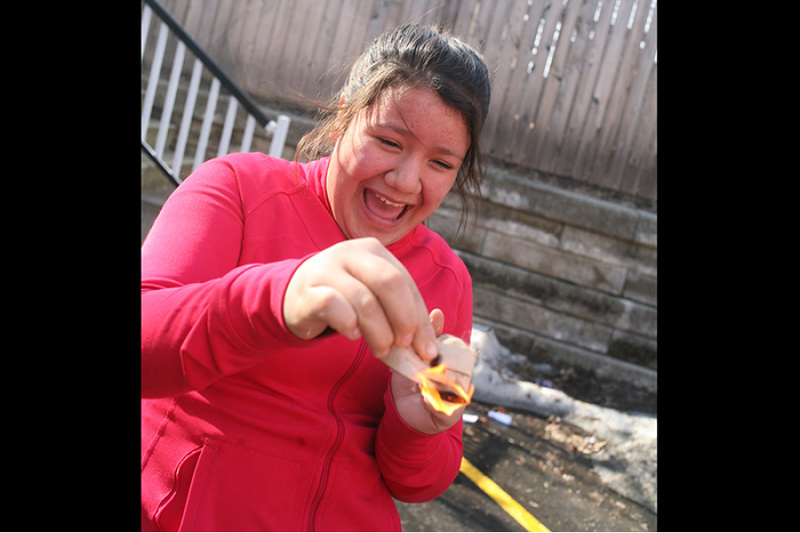 Participants will learn flint & steel, fire from water, fire from air, friction fire, hand drill, bow drill, and many more methods for making fire from ancient times. You will be able to explore these methods and find the ones that work best for you. All materials are provided. Participants need only be willing to persist and not give up. The power to create fire is one of the basic bushcraft skills necessary for survival. Fire allows us to purify water, cook food, keep warm and create comfort, ward off dangerous animals, and signal for help. Knowing these skills could save you and your family in an emergency situation. The ability to make fire should not be understated as it truly grounds one in the technologies of our ancestors. These time-honoured practices and methods are as reliable today as they were in the past. They can bring a participant to a deeper level of self-confidence and security. Though often called "primitive skills", they go far beyond many modern methods because they are rooted in practical application and spiritually connect us to the Earth and the natural elements. This workshop is designed for hikers, outdoorsmen, campers, scouts, girl guides, and anyone who ever wanted to learn the art of fire-making. For those on a Spiritual Path, this knowledge is of great benefit for self-discovery. What legends say was once stolen from the Gods, is a power that you can master with just a little practice!